Peter’s area of expertise for the last 14 years has been in Personal Property Securities Act (2009) (PPS), Creditor Recoveries, and Insolvency. 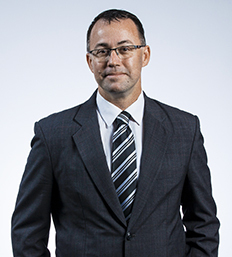 Peter is a recognised expert in the PPS and its interaction with other laws and registers (including insolvency under the Corporations Act (Cth)). Peter is admitted as a lawyer in both Australia and Papua New Guinea and regularly advises interstate and overseas clients. His extensive client base includes controllers (voluntary administrators and liquidators), trade creditors and suppliers, accountants, SME’s, subsidiaries of domestic and international companies, and other law firms (domestic and international). Peter regularly advises clients as to the PPS registration process and how to minimise documentation and record keeping, saving tens (sometimes hundreds) of thousands of dollars in the PPS registration process. He also advises on the recovery of assets and debts, despite liquidators being appointed, by using the PPS instead of the courts. Live webinar delegates will receive a CPD certificate for attendance at this webinar. Lawyers can claim up to 2 CPD units/points – substantive law. This webinar has been designed to run for 2 hours, however, webinar lengths can vary depending on the level of questions and discussion, and the minimum length of the webinar is 1.5 hour.